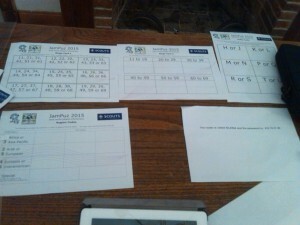 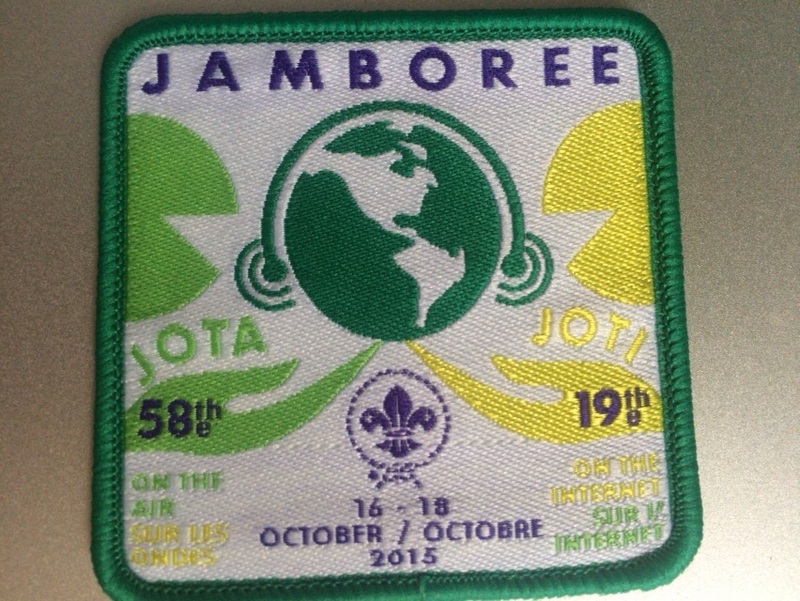 It was a very special meeting because the 1st British Madrid Group took part of the 58th Jamboree on the Air (JOTA) and Jamboree on the Internet (JOTI). 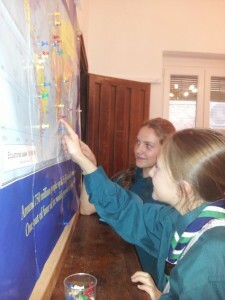 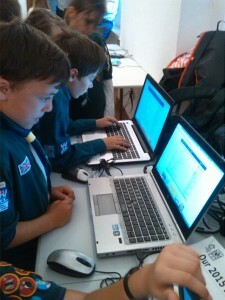 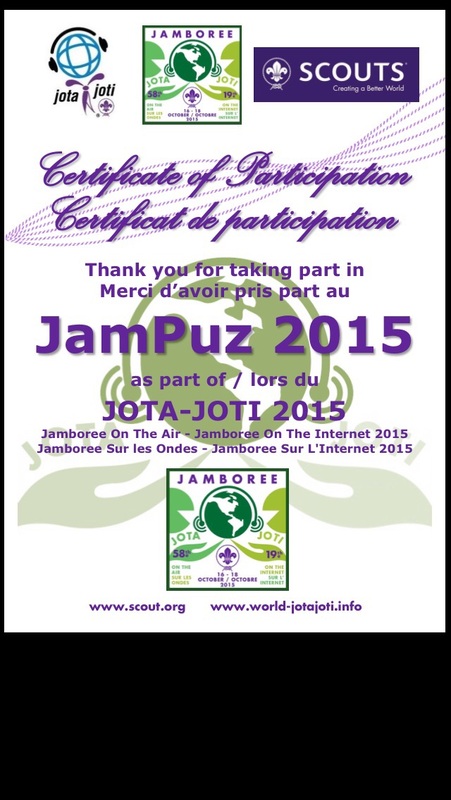 JOTA-JOTI is the largest Scouting event in the world with more than a million of scouts participating every year. 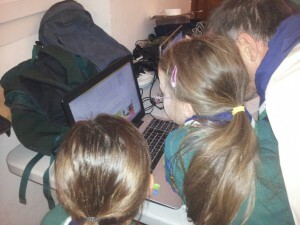 The meeting began with us setting up the computers and making sure we were all logged into Scoutlink, the internet forum set up by the World Scouting Association to help Scouts communicate with each other across the globe. 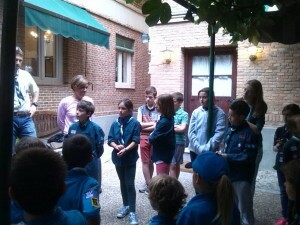 We then had a group forum in which we discussed our code of conduct. 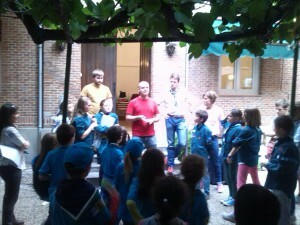 Children from all sections spoke about the best way to behave as a Scout and what they expected from their fellow Scouts. 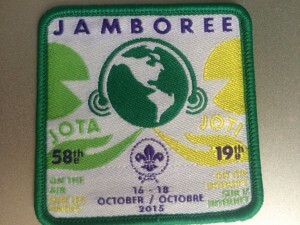 Chris Wix, our new Assistant Beaver Leader, then explained what a jamboree is. 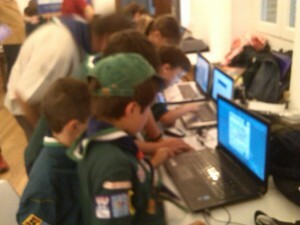 For all but a few of the Scouts at 1st Madrid this was their first ever jamboree. 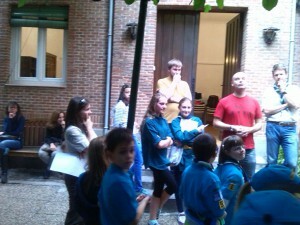 Chris got us very excited about communicating with and meeting Scouts who think the same way as we do (with their own codes of conducts that are similar to ours) and who do the same sorts of things as we do here in Madrid. 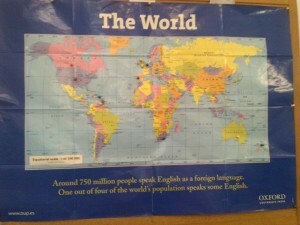 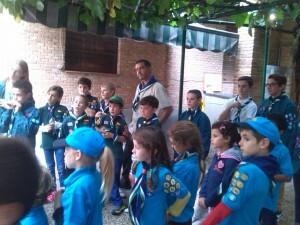 A jamboree helps our children realize that they are part of a worldwide community. New Zeland, Australia, South Africa, Portugal, The Netherlands, The UK, Canada, The USA, Greneda, Barbados, Trinidad and Tobago and Ecuador. Chris also collected the JID numbers (JOTI Identification Digits) to send digitally to JOTI HQ at the end of the jamboree in order to receive our certificate. 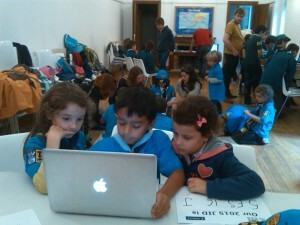 Throughout this meeting the Beavers sat two-at-a-time with a lead Scout and adult supervision provided by María and chatted with Scouts via Scoutlink on computers at a quiet end of the church hall. 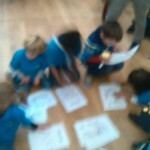 In the meantime the rest of the Beaver lodge learnt about fire safety (indoor hazards and outdoor risks around a camp fire), they discussed what they would like to cook on the camp fire we are going to have in November and they learnt some camp fire songs to entertain the rest of the group with at the camp next month. 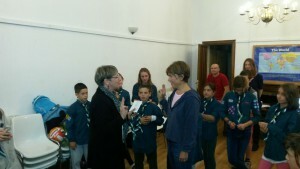 Scouts had a special ceremony. 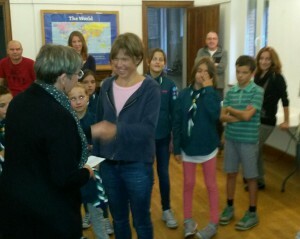 Kate was invested as the new Scout leader assistant by Jill, our Group Chair. 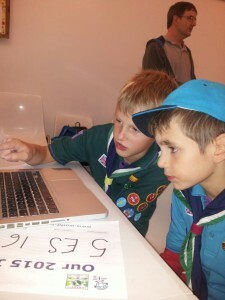 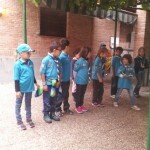 Besides participating in the JOTA, Scouts worked on a revisit to the Code of Conduct. 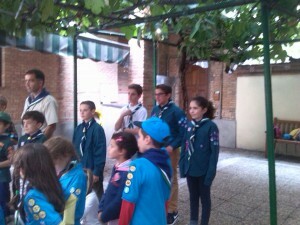 They also worked on their Patrol badges and completed the different ceremonies planned for the day. 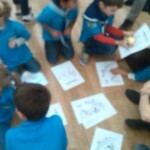 At the end of the meeting they played “Catch No Catch” ball game with others Cubs too and there was also the occasional spontaneous games being played outside in the rain (time out!) 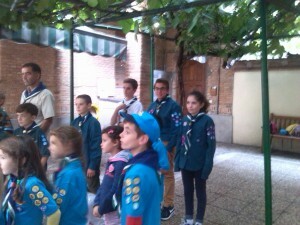 across the troop! 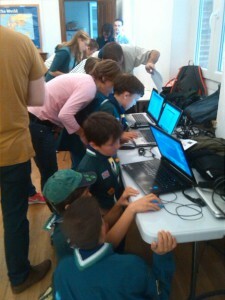 A LOT OF FUN FOR EVERYBODY!!! 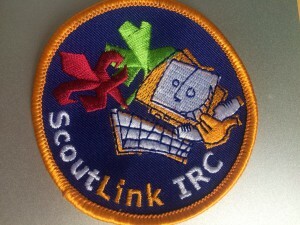 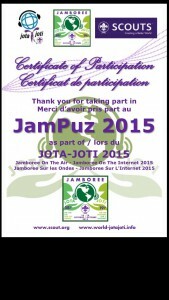 We have received our badges for participating in the Joti.